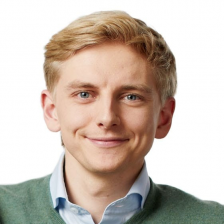 With a background in business and marketing, Thomas is leading the marketing department at Lisk, responsible for the ideation, development and execution of marketing strategies. He believes that with the right people, anything is possible. For a long time, he was interested in the economical and disrupting factor of Bitcoin before gaining a true understanding of the blockchain technology itself. After learning about Lisk, he immediately joined as one of the first non-developers on the team.